Also called the Whiteblades or the Sword of the White Path, the Brotherhood of Esshien is named after the warrior-mistic betrothed of the High Seer Sin'inari. Esshien, a curi of Reiellan and Ebani birth, brought to the mistics of the Sisterhood a windfall of great courage and strength. Though trained as a warrior for the Crown, Esshien's sought out the temperament of misticism. Thus, the Brotherhood was begun alongside the Sisterhood to serve as ally mistics and guardian protectors. Esshien led the Brotherhood until his death in 2301 CE. But the Brotherhood continues and serves to protect the mistical city of Lleander, to protect the interests of the Path of Light, and to protect the Sisterhood of Sin'inari. Many of the Brotherhood of ventured from the walls of Lleander to travel the realm to protect the innocent and the defenseless from the dark manifestations of the Bane. A fitting and balanced counterpoint to the Sisterhood, the Brotherhood's membership is held primarily by Curi men with some talent in misticism. 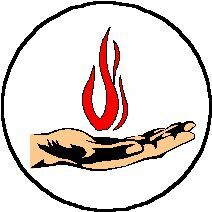 The organization's symbol is hand pierced through the palm by a small blade. The Mistic's Weapon can be any single weapon the character can use. The weapon must be covered by gray cloth, designed with mistic symbols, and tied with a white, a gray, and a black ribbon. The weapon is permanently imbued with misticism and can hit creatures affected only by magical or mistical attacks. The player must call "MISTIC !" with each strike. The weapon also acts as a mistical focus granting the character additional Alignment Points (which begin in Gray) and reducing the lengths of the character's Path of White rituals. The Mistic's Weapon is considered a personal item and cannot be taken, stolen, or used by anyone other than the Brotherhood member. The Sisterhood is an organization begun by the High Seer Sin'inari. Following in the wishes of her predecessor, Iriseer, Sin'inari gathered together a group of mistic women to preserve the art of White misticism, to preserve a noble Crown upon the throne of the realm, and to thwart the manifestations and power of the evil Bane. The Sisterhood's home is in the mistical city of Lleander high in the mountains of Sarus. Though Sin'inari is gone, their goal is to carry out the work of the current High Seer and to aid the Path of Light. Though governed by and consisting for the majority of women skilled in misticism, the organization has welcomed other allies who have demonstrated the desire to further the group's cause. In fact, adjunct to the Sisters is another mistical organization called the Brotherhood of Esshien, a group of warrior-mistics who protect the Sisterhood. The Sisterhood is a peaceful organization seeking knowledge and enlightenment. Beyond the goals of preserving the good of the Realm, the Sisterhood actively delves into the forgotten places and mysteries left by the Age of Silence. Furthermore, they continue to search for added mistical knowledge and new rituals of power. 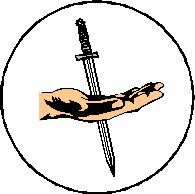 Sisterhood members shun edged and piercing weapons, armors greater than Studded or Ring Mail (4-point), and all shields. The Tongues of the Paths is the spoken and written language of the Sisterhood. It is a mistical language and only members can speak it, write it, and understand it. Read Magic and the spell Translation will not translate the Tongue. The Alignment Points earned for being a member of the Sisterhood do not count toward the maximum number of APs the character can have. The bonus Alignment Points begin in the Path of Gray.